Safety Emporium is the retail division of Interactive Learning Paradigms Incorporated (ILPI), a privately-held corporation founded on June 25, 1998, in Lexington, Kentucky. Our company moved from Kentucky to New Jersey on August 16, 2007. The items we carry at Safety Emporium are those that you, the 250,000+ unique monthly visitors to our free, top-ranked safety and laboratory information pages, have told us you needed. Rather than simply pointing you to a zillion different vendors to fulfill your needs, we have created a one-stop information, decision-making and purchasing resource. Many of the items that we carry have been individually selected by one or more of our corporate owners, folks with professional expertise and years of personal experience in using that particular (or a similar) item. The information we provide about the products is designed to make your shopping experience as user-friendly and informative as possible. Couldn't find an item that you were looking for? Are you a manufacturer looking to sell your lab and safety products in our store? Contact us and let us know. We are always happy to add a new item or supplier to our store. We also welcome feedback/comments about the store design/layout or any other aspect of your visit to our site. Thanks for visiting Safety Emporium. We appreciate your interest and hope you will look to us for all your safety/laboratory needs. Bullard is a US manufacturer of industrial safety (head, face, hearing, climate control), respiratory protection, fire & rescue products since 1898. Virtually all Bullard items are produced in the US. Chemglass Life Sciences. CLS manufacturers the highest quality laboratory glassware and equipment for the scientific community. Virtually every Chemglass item is produced in the US. Eagle Manufacturing Company is an ISO-9001 certified manufacturer of innovative industrial safety, haz-mat, and storage products. Virtually every Eagle item is produced in the US. Glas-Col, LLC is a leading manufacturer of laboratory heating mantles, controls, homogenizers, rotators, shakers, stirrers and vortexers. Virtually every Glas-Col item is produced in the US. Guardian Equipment Company is a leading manufacturer of eyewashes, drench hoses, emergency showers, safety stations and more. Guardian not only produces every item in the US, they even manufacture their own components in the US. We are authorized Global Distributors for Guardian. Justrite Manufacturing Company Justrite is the leading source of storage, handling and security products including fire prevention safety equipment for hazardous materials, environmental protection spill containment devices, and specialized storage products. Ohaus. Known for their high-performance balances and scales, Ohaus also offers centrifuges, water analyzers, shakers, mixers, vortexers, stirrers, homogenizers and more. Seton Identification Products. For over 40 years, Seton has been a worldwide leader in safety and identification, offering over 50,000 products. Many Seton items are produced in the US. Henry Troemner LLC. For over 50 years, Troemner has been a leading provider of reliable, high quality laboratory equipment products whuich are manufactured under an ISO 9001 accredited quality system right here in the US. Since 2011, 100% of Safety Emporium's electric energy needs have been fulfilled with solar power. We achieved this goal using an on-site photovoltaic (PV) array rather than taking the easy way out and purchasing "green" power credits produced elsewhere. The picture shown on the left is part of the array that is installed on our roof. This system powers everything from our lights to our web servers. 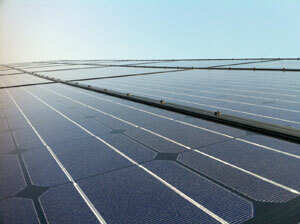 Of course, PV arrays don't produce energy at night, so we have to draw power from the grid from time to time. But the power we produce during the day exceeds our consumption and that excess is fed back into the grid during the time of greatest demand. The State of New Jersey's net metering program makes this all possible. The net effect is that we produce as much (or more) solar electricity than we consume, and we are reducing the need to construct additional fossil fuel power plants and suffer the ecological damage they cause (black lung disease, mountaintop removal, strip mining, heavy metal emissions, smokestack pollutants, greenhouse gas emissions, toxic fly ash disposal etc.). Packages that leave our main facility utilize 100% re-used internal packaging materials (foam peanuts, paper etc.). Reuse is even better for the environment than recycling as it requires no additional resources or energy. Cardboard boxes that come into our main facility are retasked for outbound shipments or sold/given to others for reuse. Boxes that are not structurally sound are recycled. We recycle 100% of our office paper and consumer wastes (plastic bottles, aluminum cans etc. generated by our staff). We ship many items direct from the manufacturer. This saves on fuel and other resources that would ordinarily be used to ship goods to us before shipping them to our customers. We seek out domestic manufacturers whenever possible. This eliminates the energy spent shipping materials from overseas, and helps ensure that our products were produced in compliance with US environmental, consumer, and health/safety regulations. ILPI believes in giving back to our local community. We focus our efforts on areas in which we can contribute expertise and manpower. 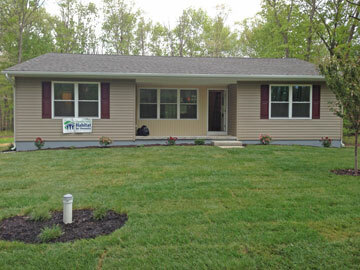 To this end, we support our employees with full pay while they participate in Gloucester County Habitat for Humanity's efforts to provide a hand up (not handout) with safe, decent and affordable housing in our local area. 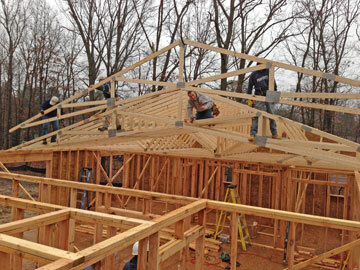 Instead of going to work, employees may choose to spend up to one work day each week working with Habitat. 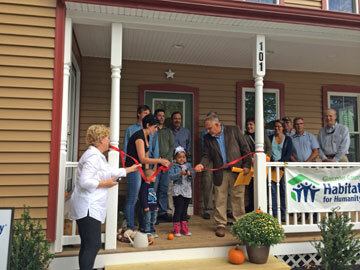 Our employees have made significant contributions to the construction of 20 affordable homes and numerous home wheelchair ramps since 2011! 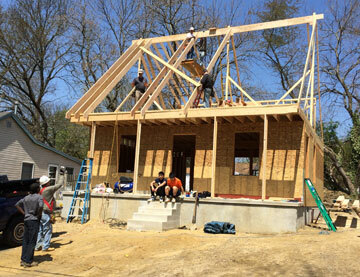 This ongoing commitment means our employees may participate in Habitat builds two mornings a week and on Saturdays. Don't be surprised if you call or email in the morning and find out that most of our staff is on a work site rather than the office. But don't worry, we will always be available to take your calls, emails, questions, and orders no matter where we are!